The New York Public Library online map collection provides a feast of gameable treasures. We gather in the Cartography Hut to pick our favorites and riff on ways to put them to use. Ken’s first map, of Brasov, appears here. Robin’s map, to the residences of Ebenezer Ingalsbie and T. R. Wolcott, is here. Ken’s second map, of 1840s Brooklyn, is here. Among My Many Hats has Ken turning your players into an official bulwark against UFO incursion in his latest Ken Writes About Stuff installment, MAJESTIC OVERWATCH. Ken and Robin Recycle Audio as the audience of Deep Ones at Toronto’s FanExpo pepper Robin with questions about exciting endings, compelling darkness, and NPCs your players care about. Finally the Consulting Occultist gets architectural to discuss the occult tendencies of Le Corbusier. In a move that surely violates someone’s security clearance, this episode is also brought to you by our friends at Arc Dream Publishing. 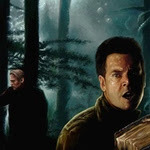 The Kickstarter for Delta Green: the Roleplaying Game has come to an end, but don’t let that stop you from indulging your fever for this classic game, or that pinnacle of the Cthulhu game zine world, The Unspeakable Oath. This entry was posted on November 27th, 2015 at 6:26 pm and is filed under Podcast. You can follow any responses to this entry through the RSS 2.0 feed. You can leave a response, or trackback from your own site. Here’s an idea that might be interesting for a future cartography hut: many board games and video games have map reveal / map building mechanics. In Betrayal at House on the Hill players build a map of the house as they play. 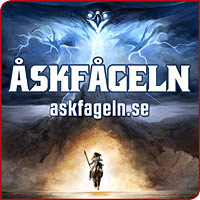 Many video games generate dungeons as play goes along. Given that Majestic Overwatch combines strategy mechanics with tabletop RPG, would it be possible to combine map building / revealing / generation with tabletop RPG? What would be possible with that? For up beats, I find the occasional hero-worshiping child, grateful former rescuee, or admiring guardsman to be useful (in the more heroic settings, anyway). They don’t cost anything, they’re easy to insert, and they give the players a sense that their characters are making a difference for the better in their world, and that their efforts are noticed. I think the next time I have a really heroic death of an established hero, I’ll have to have a state funeral, too, with weeping girls, impromptu memorials, and perhaps a saluting child on the parade route. Thanks for the heads up about the NYPL! With regards to Patreon, maybe one of the goals if you reach a specific funding level could be to buy a dedicated microphone for one or both of you for con recordings? The audio quality was fine for this one (and the Deep Ones were very congenial) but it might help prevent lost episodes like this year’s GenCon. Otherwise for merch/rewards, maybe KaRTaS bookmarks to hold our places in our library of Ken and Robin authored books. After the last several failures I picked up a Zoom H1, so you’ll hear a marked improvement as of the upcoming Dragonmeet live episode. Thank you for the reupload! What was the name of that Indian physicist? I couldn’t transcribe it properly . He seems.fascinating. The CIA financed the modern art movement: https://en.wikipedia.org/wiki/The_CIA_and_the_Cultural_Cold_War is one article, but a quick Google search turns up many others. I suppose a “Dreamhounds of Langley” campaign is the obvious way to gamify this, what else can K&R come up with? For K&R themed merch, you could do Time Inc or the Consulting Occultist themed shirts.